Eliminate gravity and fly! Human flight can be accomplished by everyone! 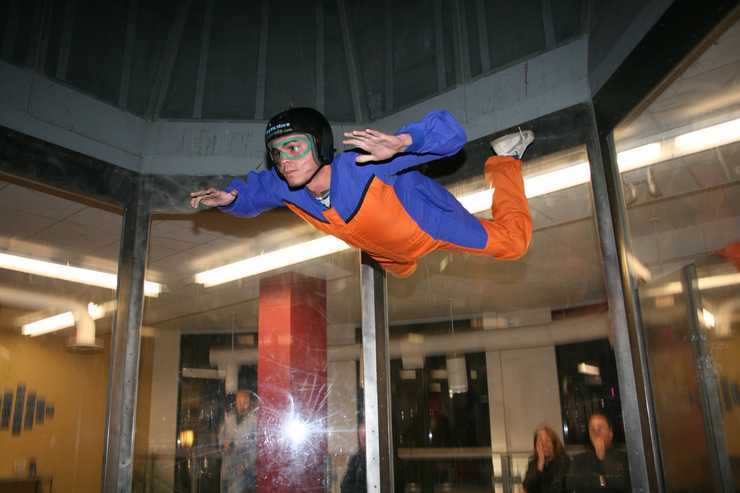 Join us for indoor skydiving in a vertical wind tunnel. This is your answer to a unique experience! At SkyVenture the skydiving weather is always perfect! High adventure can be achieved quickly! Just show up and fly! SkyVenture Colorado accommodates everyone from age 3 to 103! Fun, adventure, and excitement, SkyVenture Colorado offers it all! Join our group of Adventurers as we travel to Denver, Colorado and completely immerses yourself in the world of indoor skydiving. Your skydiving experience will be one-on-one with your flight instructor. All skydiving equipment is included. Your indoor skydiving begins the instant you walk through the entry door. You are now flying!